A day in and around Drumheller, exploring the badlands and the hoodoos. The protected hoodoos site east of Drumheller. 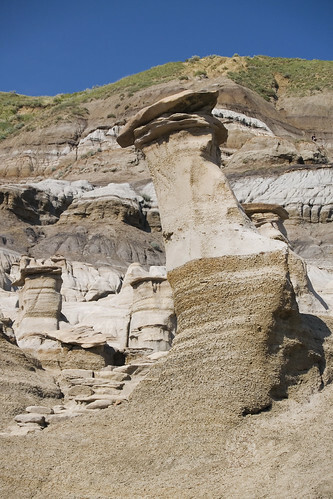 The Blackfoot and Cree Indians once believed these 5- to 7-metre tall geological formations were giants that came to life at night and hurled stones at intruders.